Volunteerism is a core principle of the PGA TOUR and vital to the success of the Albertsons Boise Open. We look to the Treasure Valley community to activate 700 volunteers. 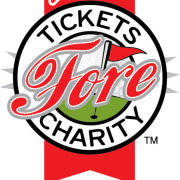 Join the #1 team on the Web.com Tour and help us as we continue to raise millions for local charities while hosting the world’s best golfers. Volunteering is an exciting way to be part of the action! Choose from a variety of committees to customize your experience. All volunteers at the Albertsons Boise Open receive a complimentary Under Armour volunteer package. Each volunteer will work a minimum of three days with shifts ranging from four to six hours depending on committee. The Albertsons Boise Open returns to Hillcrest Country Club for its 30th year! Our event is the second event in the Web.Com Tour Finals. The tournament has generated over $20 Million for charity in its history - that’s more money raised for charity than by any other Web.com Tour event! None of it would be possible without the tireless work of the hundreds of dedicated people who make up our Volunteer Team - the #1 team on the Web.com Tour! Would you recommend GOLF CHARITIES FOUNDATION INC?